MTS-Electrical is a commercial and domestic electrical company located near Norwich, Norfolk. For well over ten years now, we have been the first choice of many residents for local electricians in Norwich. 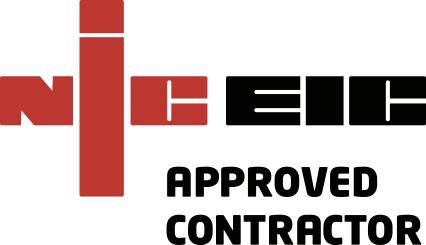 As NICEIC members, you can be absolutely certain that we are fully certified, competent Norwich electricians who operate both safely and to the best of our ability. We have worked around Norwich for many years now and have a great reputation. Consider the benefits of a local electrician. The primary thing that most people will want to know is if the electrician is local to them. Local electricians will have a better understanding of the area, they will know the general electrical plans of buildings on certain streets and will be able to operate much more effectively thanks to this knowledge. A company that truly cares for its clients will last much longer than any company motivated by filling their pockets as quickly as possible. We have been around for a long time now and have built up a great reputation, having worked for Norwich City Council, Great Yarmouth Council and a number of commercial properties. Also available is our emergency call out service; have an electrical problem that needs immediate attention? Contact us now and our team will be ready to respond quickly and efficiently. No job is too complex for our certified electricians and we will deliver outstanding results at low prices.